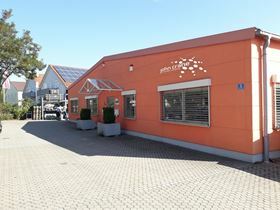 The new John Crane service centre in Bavaria, Germany. John Crane has set up a new service centre in Bavaria, Germany. Located in Neustadt an der Donau, close to Ingolstadt, the new service centre will allow John Crane to respond faster to customer service needs and reduce downtime costs with fully equipped seal workshops and seal installation and commissioning support. The workshops include seal reconditioning and repair with root cause analysis, assembly and testing facilities for standard, engineered and metal bellows cartridge seals, and optional bonded stock for contractual repair needs. The service centre also supports filtration systems, power transmission couplings and packing materials. John Crane experts can also analyse processes and environments via root cause and analysis (RCA) to recommend engineering solutions that will increase equipment lifespan, reduce total cost of ownership and lower emissions. A dedicated service centre head and area sales manager will provide expert support for customer needs. Two service engineers will deliver 24/7 support, including the provision of plant surveys and reliability improvement support.